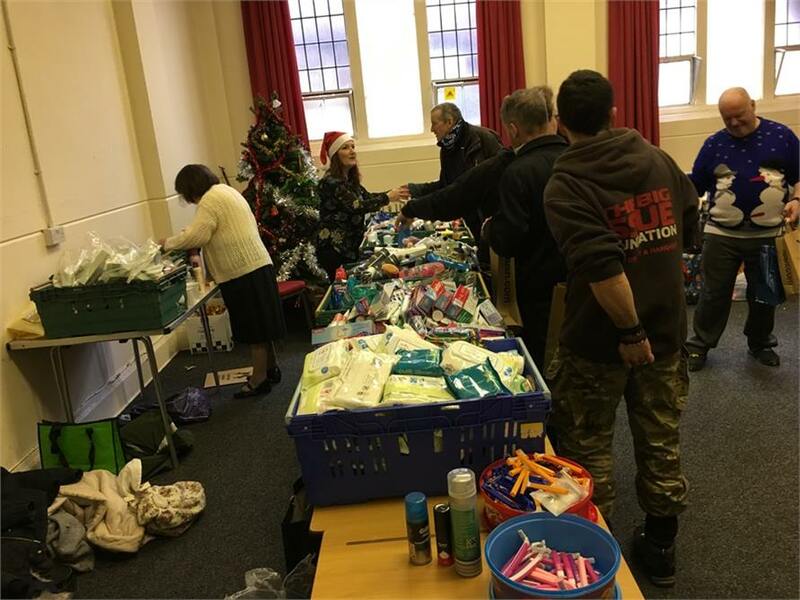 Cyrenians held their best ever annual event on Christmas day, at the Methodist Central Hall, welcoming all that may be homeless, lonely, vulnerable, or would have gone without a Christmas dinner. 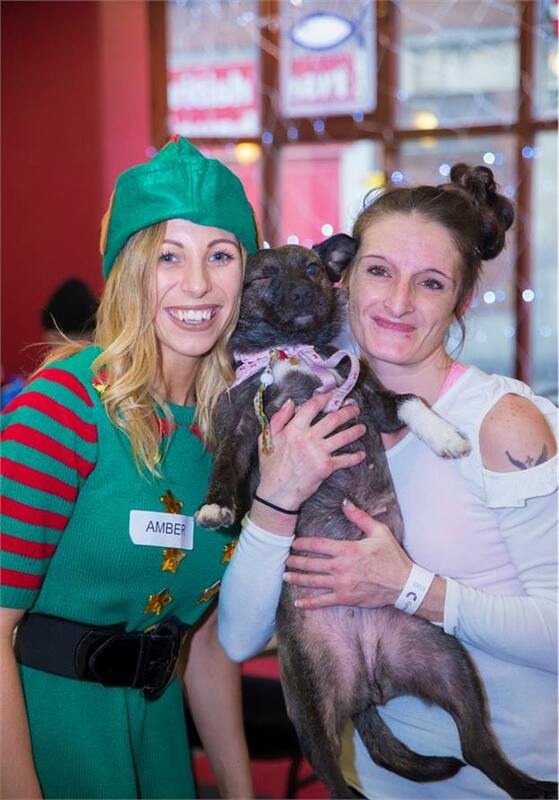 The atmosphere was truly amazing and attended by approximately 200 guests, volunteers, staff, entertainers, children & even dogs! A huge thank you to all the volunteers who gave up their time on Christmas day, arriving early to set up tables, with crackers and beautiful table decorations (handmade by Shelagh Williams). Special thanks to the chef, Steve McCormack who prepared all the vegetables, Michael Law, Joan Rennie & Mary Stephens (who have volunteered in the kitchen at this event for many years), assisted by Carolyn Simm & Dennis Sayer, also Stephen Lane who prepares the Christmas puddings & custard, plus John & Lynda Wells who organise the refreshments. We would also like to thank Reverend Mark Rowland for the use of the Central Hall again this year. Over 100 dinners were served plus treats and on-going refreshments throughout the day. Presents of socks and chocolate, gift bags, toiletries and clothing were given out during the day. These were donated through the huge generosity of local schools, churches, companies, shops, voluntary groups, charities, statutory groups and the general public. Thanks to Thomas & David Scarsbrook who have provided the music/audio equipment for the several years, and to Matt Cattell who co-ordinated the entertainment provided by local performers listed below, Liberty Church Choir & Sophie Greener. 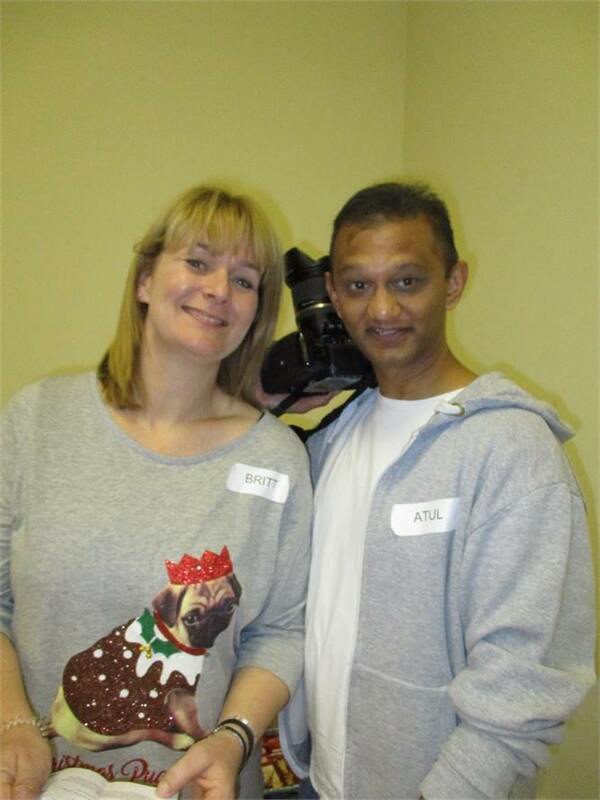 A massive thanks to photographer Atul Patel who volunteered yet again to take pictures throughout the day free of charge. More photos can be viewed in our Gallery. Special thanks to Michael Wilson who co-ordinated the day for his fifth and final year and has handed over his duties to Sophie Greener for next Christmas. “Best part of the day was the music and felt comfortable”. “Very good, looking forward to next year”. “The best part of the day was everything, the food, presents etc, couldn’t ask for better”. “10 out of 10, great food and entertainment”. “Again had a great time on Christmas day. Although I have family commitments, this experience is what Christmas is all about for me. I thought the arrangements for the hall were much better this year, far friendlier. Everything went well in kitchen, the food provided was good and plentiful this year”. “As always I absolutely loved the day. The positive and happy atmosphere is what makes me look forward to the day”. “Lovely people as always and thoroughly enjoyed helping out, thank you again for the opportunity”. “I don't have anything negative to say as far as I am concerned it was brilliant, the entertainment was absolutely first class”. “Congratulations to Michael first of all on arranging the tables differently this year this made socialising far better and the tables looked lovely”. “I think the entertainment is clearly getting better every year and is much appreciated by most of the guests”. “This is an amazing event! Full of festive cheer. Lovely volunteers. Just beautiful”. “Wonderful to see so many people working together”!